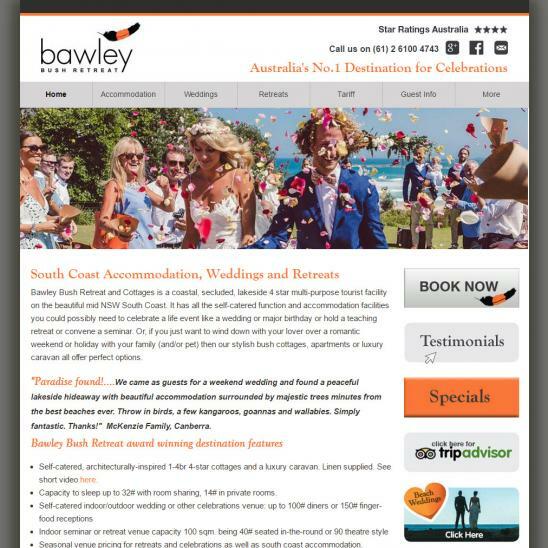 When Bawley Bush Retreat contacted us they had an old site which they couldn't update and a new site that was half finished but had not been worked upon for 6 months. They were extremely frustrated. We built them a Drupal site using their new design, some content from both sites as well as some new content. We added photo galleries, an events page, local providers and a simple administration menu so they could upload photos, and add or edit their info.